Over the weekend we were invited to the Rise of the Ninja Mutant Turtles Nickelodeon event in London at Bay Sixty Six skatepark, a skatepark I used to visit when I was much younger and was really looking forward to taking the boys along for an action packed day of skateboarding, pizza and checking out the new TV series, we even watched one of the Ninja Turtles films the night before to get into the mood. As usual the kids were fantastic on the train journey from Cardiff to London, it's become somewhat of a regular journey for us and as we pack tablets away during term time we do allow them to play some apps when we are travelling so it's something they look forward too. 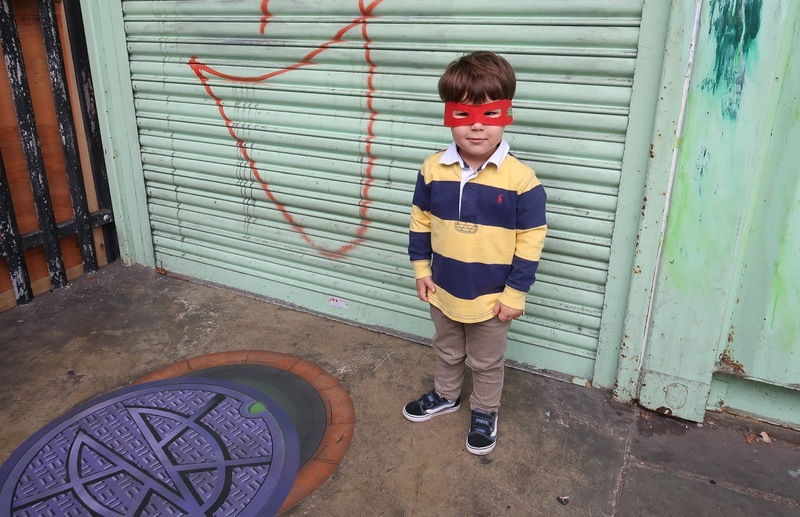 My eldest who has recently got into skateboarding and scootering was especially excited to visit BaySixty6 as well as see the new series of the Ninja Turtles. As soon as we arrived at Baysixy6 the boys where handed some Ninja masks and my youngest wore it pretty much the whole time. Walking into the park there was plenty of things going on from retro arcade games, a play area, graffiti wall, skate workshops, fruit and smoothie bar and a chill out space for kids to watch some of the new Rise of the Ninja Turtles series which my eldest watched and gave a big thumbs up too. Both my eldest and youngest had a chance to take part in the skate shop workshops and really enjoyed themselves and learnt some new skills as well as watching the skateboarding demo happening in the bowl with some of the best skaters in the UK. We also made sure to full ourselves up on some fresh pizza. 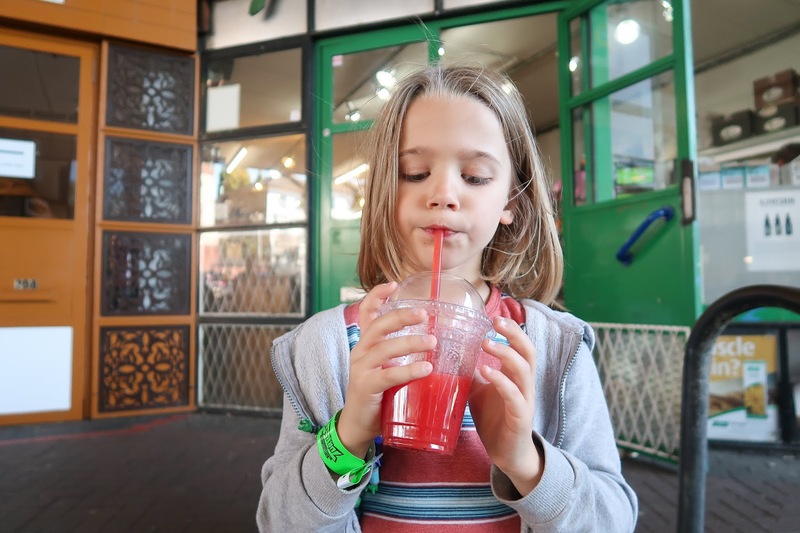 It was such a great atmosphere and the kids loved pretending to be Ninja turtles for a day and after the skating and filling ourselves up on pizza and smoothies and the kids had pretty much run themselves out climbing up and sliding down all the ramps as well as getting creative on the graffiti wall we decided to go for a walk around Portobello Market, on of my favourite parts of London. That looks like an amazing day out with the kids. I'm sure my son would have loved it, he wants to try skating and is a fan of Michelangelo. 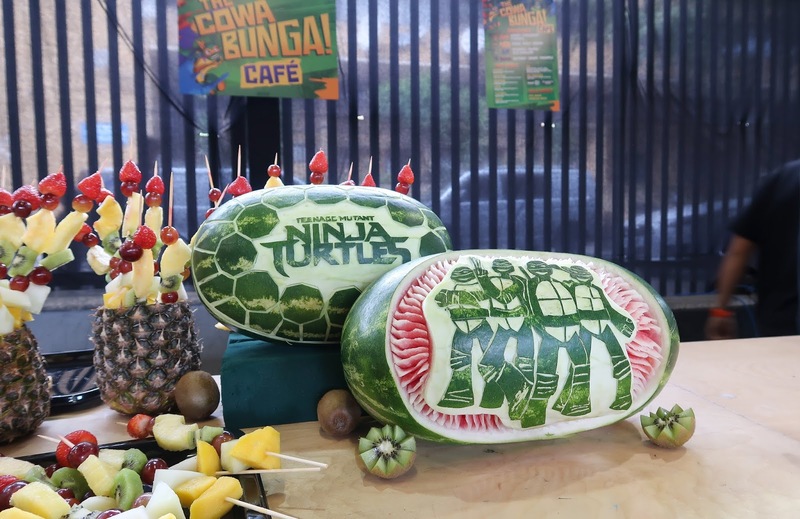 Oh this looks fab and my daughter is a huge turtle fan! This sounds like a fun event. My son loves Ninja Turtles. Oh what a fun event! Look like you enjoyed it!